If you need a website with any sort of lead generation capabilities chances are you’ve heard of one of these platforms listed below. These platforms are based entirely around the sales funnel concept. Some, not all offer extensive functionality, including customized funnel templates, membership areas and split testing features. Royalty Funnels is a suite of conversion focused WordPress plugins and themes, with tools ranging from page builders and scarcity marketing timers, to landing page templates and themes. Royalty Funnels vs. All the Rest - Comparing Apples to Oranges? 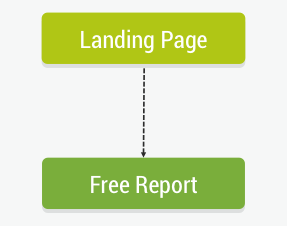 A funnel is the process of moving a lead towards a conversion goal. Funnels can be anything from a simple set of pages to a complex, structured sequence of pages. Although Royalty Funnels isn't advertised as a funnel building solution, most of the funnels you can create with ClickFunnels or any of the other solutions can also be accomplished with Royalty Funnels. All these platforms differ in their built-in features, functionality, and price. To start off we'll compare the general features of six programs, then get into a more detailed comparison of specific funnel types. ClickFunnels Standard is almost over 4 times more expensive than the Royalty Funnels. What you’re paying for with ClickFunnels is the ability to integrate all the funnel steps within the one platform. ClickFunnels Standard still requires you to connect with third party programs for emails and payments, you can configure these within the ClickFunnels interface. While it's not an all in one platform, Royalty Funnels easily integrates with all the tools needed to a create fully functioning funnel. With Royalty Funnels, you need to go into the third party programs directly to configure them. To explain this difference, lets look at the example of setting up a payment page. By connecting your ClickFunnels account a the third party payment system such as Stripe, you can create a payment page from within your ClickFunnels interface. This means you can create and edit your product details and order forms from within the ClickFunnels platform. When using Stripe in conjunction with your Royalty Funnels platform, you have to configure your checkout page details within the Stripe plugin, and then link to that checkout page. This all in one principle for ClickFunnels includes hosting too. With ClickFunnels your hosting is included. With Royalty Funnels hosting is also included. The price difference between ClickFunnels Standard and ClickFunnels Etison Elite is because it Etison Elite includes its own email autoresponder, CRM and affiliate management system..
All the other Platforms and Royalty Funnels have a fantastic customer support. They each include inquiry responses within a few hours, a library of tutorials, webinars and how to guides, as well as continual updates and feature improvements. Royalty Funnels has more detailed tutorials available on individual features, whereas some of the other platforms may rely more on live webinars (and replays) and direct customer support inquiries. It is easier to get the answers you need with Royalty Funnels because of the well indexed tutorials, while some of the other platforms requires a lot more sifting through existing content. Royalty Funnels is full of tools that make page creation and optimization easy. Royalty Funnels is a point and click page builder that’s not just for landing pages. It can be used to construct your entire website. All of the other platforms on the other hand only creates funnel specific pages and is not suitable for website creation. You would have to use a third party program to create your website. Let's first take a look at how Royalty Funnels and the other platforms compare for a lead generation funnel. As you can see, Royalty Funnels and the other platforms have very similar options when it comes to creating a lead generation funnel. Example: Click Funnels allows you to build a lead generation funnel on their platform, and offers the possibility to A/B test the landing pages. Royalty Funnels has a wide variety lead generation templates and offers A/B testing of specific elements within the landing pages. Now, when it comes to comparing the overall list building capacities of all the solutions, Royalty Funnels and the other platforms are completely different beasts. Royalty Funnels would be the more viable option for lead generation funnels. Its focus on WordPress functionality makes it really easy to add all types opt-in elements throughout your WordPress site. With Royalty Funnels you can also create a single landing page funnel to drive traffic to. The other platforms were not created for list building on a website. It doesn't work intuitively with any other website content besides the funnel based pages and pop ups. Even if you just after lead generation funnel and not an entire website, a platform like ClickFunnels would be serious overkill considering the price point. Both Royalty Funnels and ClickFunnels require the use of a third party webinar service in order to run live webinars. Both integrate with the two major webinar programs - WebinarJam and GoToWebinar. If you did want to host a live webinar within the a funnel page, both ClickFunnels and Royalty Funnels allow YouTube Live Events to be embedded on your site. This service is available through WebinarJam or YouTube directly. This is helpful for those wanting to keep the whole funnel on their platform, rather than having the actual webinar on the providers site. 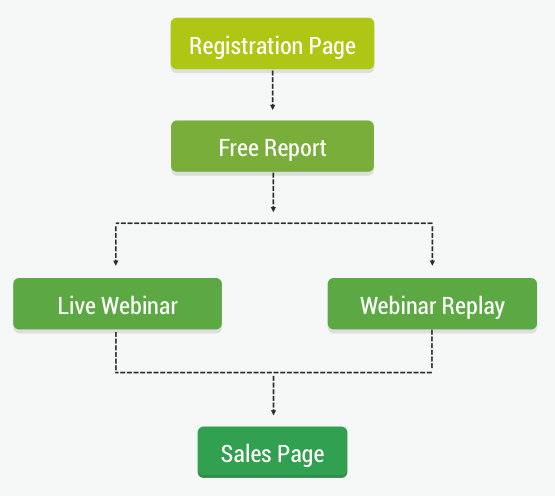 For live webinars, due to the dependence on third party webinar services Royalty Funnels and ClickFunnels offer pretty much the same functionality. The main difference ClickFunnels live webinar funnels is the ability to take payment within the funnel. This allows for more comprehensive tracking of conversions. That being said you can very easily link to a third party payment system if you're using Royalty Funnels. Once you start getting into upsells, evergreen replay funnels and membership opt-ins, ClickFunnels is the way to go. If you are just after a simple webinar funnel with replays and single offer, Royalty Funnels will more than get you by. A membership area is not a funnel within itself, but it's worth mentioning to explain some of the extended functionality of all platforms. 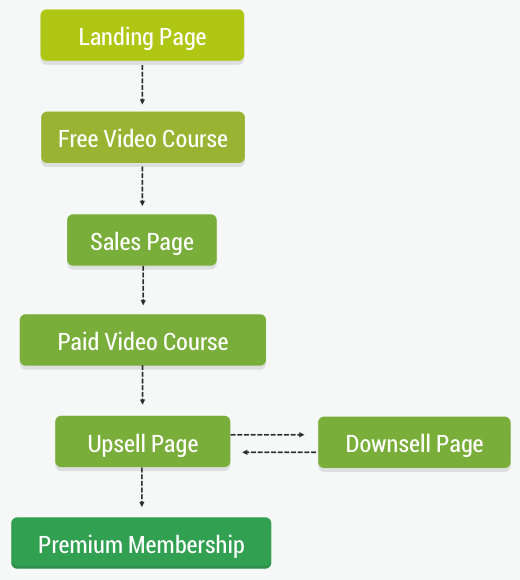 You would either use a sales or product launch funnel to drive leads to your membership area. ClickFunnels and Royalty Funnels both offer a simple all in one solution for membership sites. You can process payments on site and control the membership area within the platform. Royalty Funnels would be useful for any free or paid content areas, and you could also create paid membership areas. While it is all built in, ClickFunnels actual membership area is still quite basic. You can create very similar content delivery areas with Royalty Funnels.